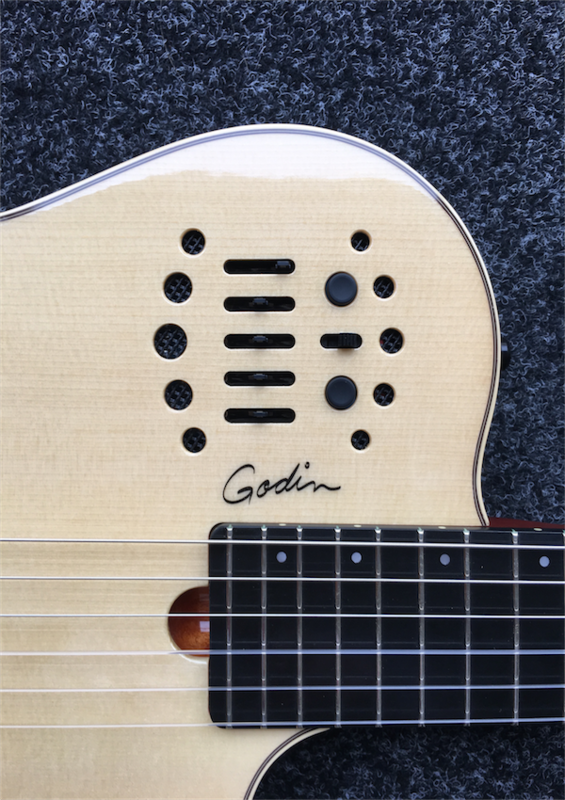 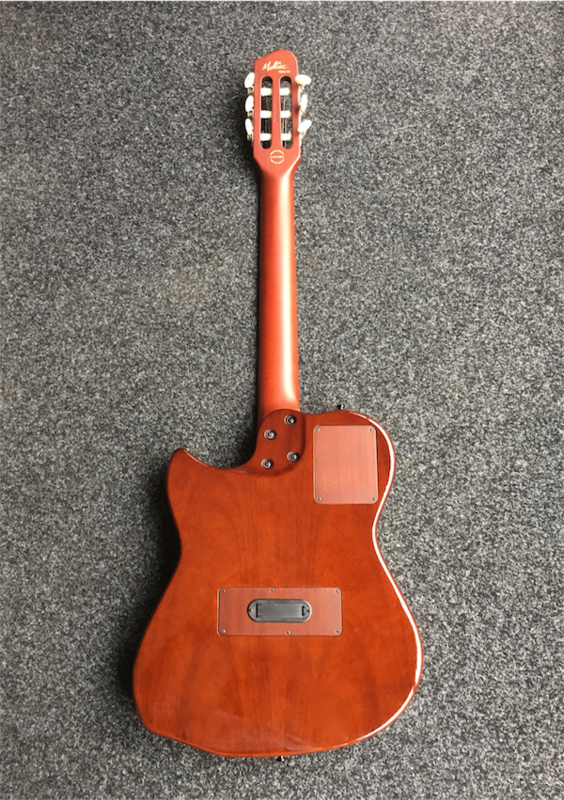 A truly beautiful high gloss Godin Multiac - the original Multiac Nylon combines cutting edge acoustic guitar design with state-of-the-art on-board electronics and synth access. 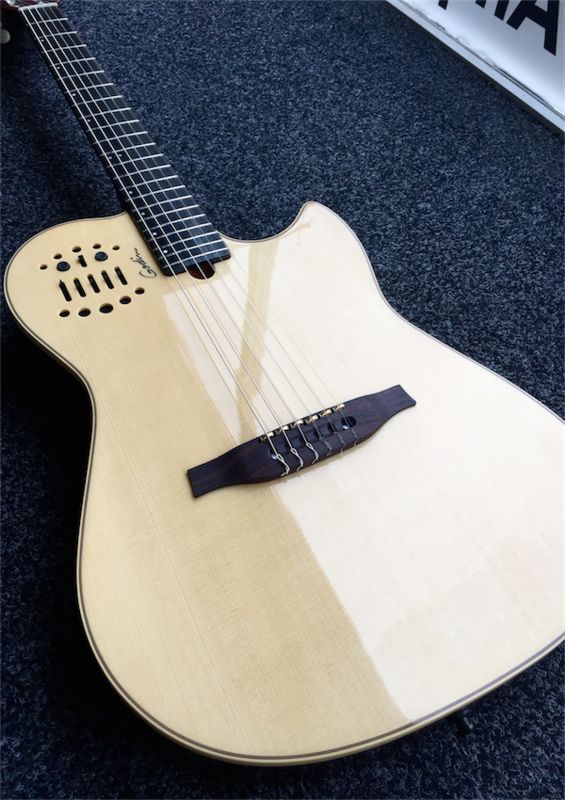 The 25½" scale, the 1 7/8" nut width, and the fingerboard radius—a slight 16"—all contribute to an easy feel for steel string players to adapt to. 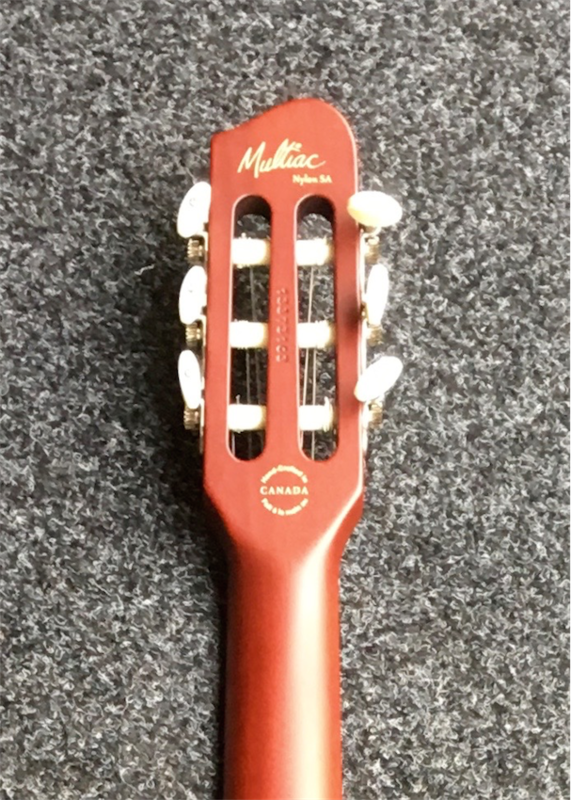 This has become the instrument of choice for guitarists of all genres looking to incorporate nylon string guitar sounds in their music.